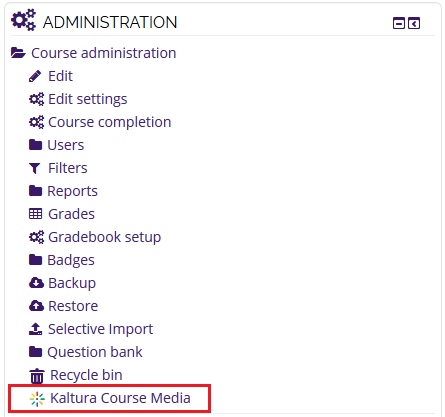 Instructors and students can share Kaltura videos with everyone enrolled in the course. To do this, you will need to add a video to the Kaltura Course Media. Videos in this area are available to everyone enrolled in a course until the course is hidden, or until the owner removes it from the Course Media Gallery. 1. Log into Moodle and click on your course. 2. In the Administration block on the left, click on Kaltura Course Media. 3. If you have uploaded videos to Kaltura previously, you would select the video by checking the box next to the video and then clicking the Publish button. 4. 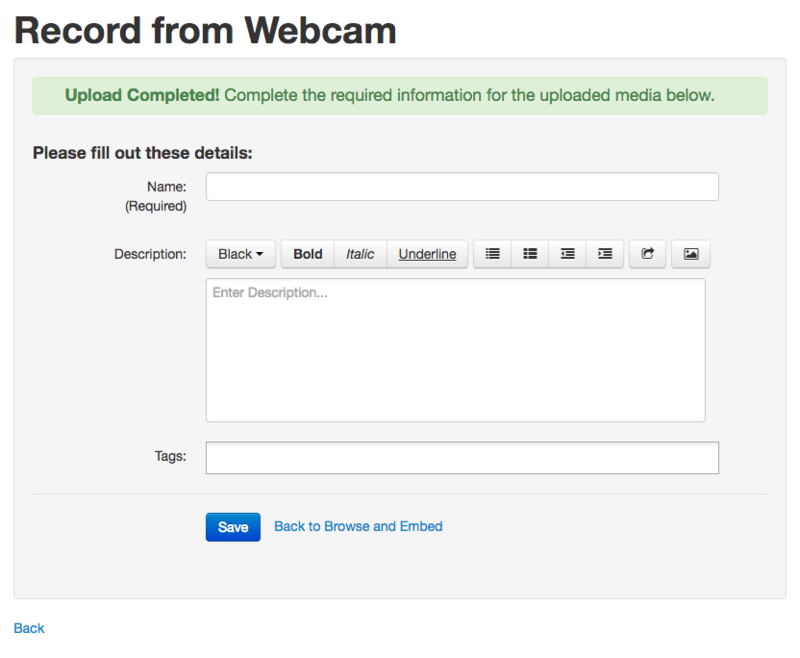 If you have NOT previously added a video to Kaltura, click the Add New button and select from the following options. IMPORTANT NOTE: Kaltura's screen recorder will not be available for new versions of Chrome or Microsoft Edge due to to the fact that they do not support java plug-ins. 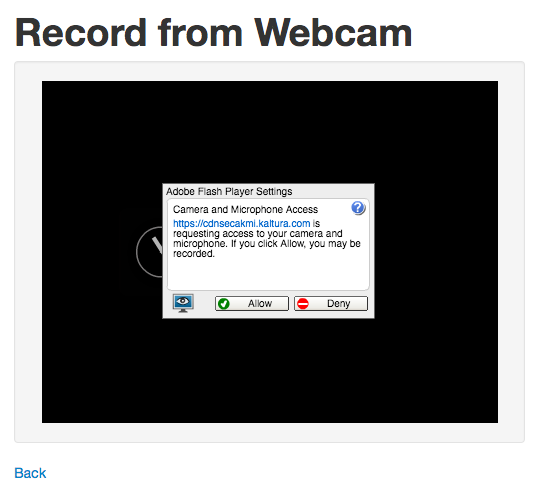 It is recommended that CaptureSpace Lite be used for screen recordings. 5. Once the video has been added, complete step 3 as listed above. Upon selecting a file you will be redirected to the following screen. If you wish to add a description, enter it into the textbox offered. You can also add tags to make searching for this upload easier. When you have your settings ready, click the blue Save button at the bottom of the window. 4. To submit this video to a Kaltura Media Assignment, follow the instructions at Submit Media to a Kaltura Assignment (Students). 3. Once you complete the recording of the video, click Next. Add a Title and a Description to your video. Select Save at the bottom when done.